The coastal region of east Yorkshire is popular with people all over the UK. It’s a favoured summer holiday spot, retirement location, and day-trip area - with lots of things to do and places to see. Hunters has a strong presence in this part of the country. We have branches in Filey, Scarborough and Bridlington. So we know the area quite well. We know exactly why people come here - whether it’s to live, or just for a short visit. his blog is going to look at exactly what makes the east Yorkshire coast such a wonderful place. Many of these seaside towns are famed for their excellent scenery. It doesn’t matter what time of year it is - you can expect a lot of natural beauty, combined with the amazing sights of various piers and local attractions. Just look at this picture of Scarborough. Doesn’t that look like somewhere you’d like to visit? Or even live? Many people choose to move to places like this so they can wake up to such sights every single day. If you feel like this could be the life for you - contact one of the local Hunters branches today. It’s at least worth a visit. Pick a town. Scarborough, Filey, Bridlington. They’ve all got something going on. Regardless of what you like, your age, or anything else - we’re confident a weekend in any of these places will be fun-filled. There’s Filey Golf Club, for example. And Scarborough Surf School - which is pretty dependent on the season. Water sports are very popular here. So if you’ve got a bit of an adventurous streak in you, it’s definitely worth considering a trip. Other than that, there are lots of good bike and walking trails. And you could visit the wonderful Crescent Gardens in Filey. Those who grew up in or around the region know how popular these towns get during the summer. Many may have spent their school holidays here. Playing on the beach, enjoying the typical seaside attractions. And as parents, they want to bring their children to have the same experiences. There’s all sorts of activities that take place specifically in the summer holidays, so families can make the most of their time together. For example, donkey rides, which are a big favourite with kids. There’s usually lots of suitable accommodation too - so you can visit for a weekend, a week, or even longer. One of the big benefits of visiting this region is there are so many places to go. And each offers something a little different. There all similar in many ways, but offer unique experiences. We’ve already talked a little bit about Scarborough, Filey and Bridlington. But there are other places worth a visit too - such as Whitby. Located a little further to the north than the aforementioned places, it sits within the North York Moors National Park. We’d highly recommend visiting each of these towns at some point. Let us know what your favourite is! So this is more of a permanent visit. 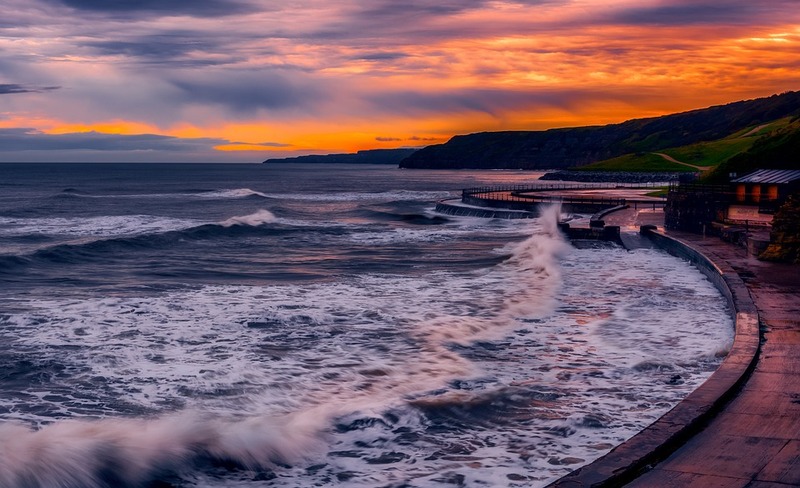 But many of these towns, particularly Filey, are very popular amongst people looking to retire. After the summer period is over, they can get very quiet. Some people enjoy the relaxing atmosphere and beautiful, uncompromised scenery at this time. It’s also a relatively affordable place to live, which is a massive benefit to lots of people. But there are still plenty of luxury properties on the market, if that’s what you’re looking for. All of our staff based in the relevant branches are incredibly knowledgeable about the local areas - we’d recommend speaking to them for more detailed information.